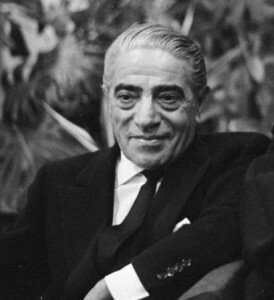 In 1975, I had the enjoyable experience of being the guest of Jackie and Aristotle Onassis at the El Morocco club in New York City. It was New Year’s Eve, and while I had worked with Jackie previously, I was meeting Mr. Onassis for the first time. I explained my profession in corporate branding to him, and his subsequent advice surprised me. It was completely related to image; not a word he said dealt with financial or investment advice. “Drink where the rich drink, even if it means sipping one drink,” he said. “Live at an upscale address, even if it is the worst accommodations in the neighborhood. Exercise. Stay tan, even if you use a tanning lamp.” To me, his advice was this: To be successful, act successful and network with successful people. This is good advice for building your personal brand. Appearance: How are you dressed? Do you have good posture? Personality: How well do you communicate? Is it apparent that you have a good attitude? Competencies: Can you easily fulfill what’s required of you? Differentiation: What traits or skills separate you from everyone else? These elements must be suited to your audience and the milieu you—and your organization—operate in. Over the course of my career I’ve spent time in Hollywood, New York, Washington DC and Silicon Valley. Each place thinks it’s the center of the world and each has its own values, styles and characteristics. If you went down to Google’s headquarters wearing a three-piece suit, you’d be rejected. So just as you need to think about the signals you’re putting out with your personal image, you need to do the same when it comes to your audience. You need to understand, attract, and engage your audience. If you’re going to operate across these different arenas you need to be sensitive to each audience and understand what resonates with them. Only then will you be successful. To the New President of UC: Start With an Audit! As many of you may have already heard, today is the first day of work for former U.S. 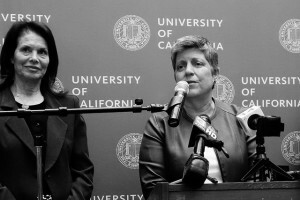 Homeland Security Secretary Janet Napolitano in her new position as president of the University of California system. We’ve worked with UC before, and we’re eager to see what Ms. Napolitano’s tenure brings to this great institution. As a student at the Harvard Business School, when my classmates and I aspired to one day serve as presidents of our organizations, I remember a professor of ours posed an interesting question: “What is the first thing you should do when you become president?” he asked. For us, the first thing that popped into our heads was the thought of cracking open a bottle of champagne for our success. But other than that, we were puzzled. The advice this professor gave has stayed with me to this day: The first thing you should do is take an audit. To establish which assets you have been entrusted with and for which liabilities you have accepted responsibility. To put a stake in the ground showing the condition of the organization when you took over, so that you can measure and demonstrate the improvements you’ve made during your term as president. For us at Marshall Strategy, we also recommend—and practice ourselves—to audit each organization’s intangible assets as well. If you know what you assets and liabilities are, then you know what your plan of action needs to be. Awareness: When we begin auditing a company’s intangible assets and liabilities, we begin by listening to the executives about the issues they are facing, the challenges that lie ahead and what disadvantages they may have. You may have a great company in the public’s eye, but if there is low awareness about its potential obstacles among its executives, then that’s a problem. Image: We research our client’s image, which includes talking to audiences that are important to the organization, both customers and employees. We gather information on how they perceive the company. Whether employees have high or low morale, that’s something, for example, that gets sorted out in our initial analysis. Out of that we establish some identity objectives that would help alleviate the problems and leverage the advantages. Branding: Some of an organization’s strongest intangible assets deal with its brand identity. An organization’s name can be an advantage or disadvantage. Along that same line, its graphic expression may be detailed and intricate, but may also be meaningless. Our objective is to reduce those liabilities and increase the assets the company has to work with, which could be naming, messaging, visual expression or strategy. My advice to Ms. Napolitano is to take an audit of UC, of both its tangible and intangible assets. Such an audit will not only help her understand the massive, intangible value of the university to the state, the nation and the world, but it will also help her identify the perceptual liabilities that threaten appreciation and support of UC’s great value.